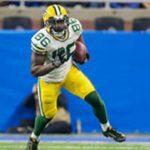 This is the third in a series of position-by-position previews of the 2018 Green Bay Packers following the OTAs and minicamps. Training camp begins on July 26. EMANUEL BYRD – The former undrafted free agent from Marshall picked the wrong summer to try and make the 53. While he’s probably a better long-term prospect than a number of tight ends who have been on the active roster to start recent seasons (i.e. 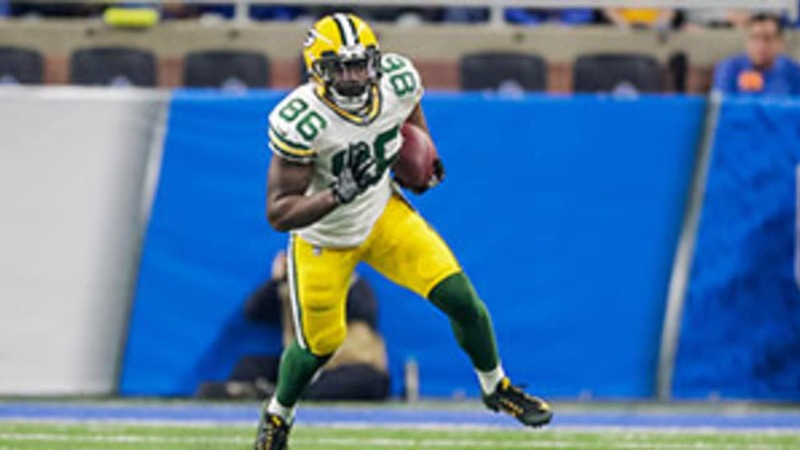 Kennard Backman in 2015 and Justin Perillo in 2016), the 2018 Packers happen to be unusually deep at this position. Byrd will need a big training camp to either unseat veteran Lance Kendricks or force general manager Brian Gutekunst to keep a fourth tight end. Neither is impossible to imagine, but both are fairly unlikely. JIMMY GRAHAM – People expecting 80 catches for 1,200 yards are living in a dream world. This isn’t the same player who dominated defenses with the Saints from 2011 to 2014. Just as importantly, Aaron Rodgers doesn’t rely on the tight end as much as Drew Brees and Mike McCarthy doesn’t scheme as well as Sean Payton. In short, Graham isn’t going to be a game-changer in 2018. But he should be a useful part of the offense between the 20s and a huge weapon in the red zone. While the 31-year-old no longer beats quality defensive backs on a consistent basis, he still has the ability to make life very difficult for linebackers. LANCE KENDRICKS – The former Wisconsin star didn’t enjoy a happy homecoming in 2017. His first season in Green Bay was a huge disappointment. The 30-year-old, who caught only 18 passes, struggled to beat even pedestrian linebackers and safeties in the passing game and his blocking was hit or miss. Thanks to a $2.25 million cap hit, his roster spot was hardly secure even before Marcedes Lewis signed in April. And while this diminished version of Kendricks will probably still be better than any of the undrafted free agents who figure to challenge him for a roster spot, the real question is whether he’ll be $1.7 million better. MARCEDES LEWIS – The longtime Jaguar, who signed a one-year deal worth just over $2 million in May, might prove to be the best free agent signing of the offseason. And if not the best, then certainly the shrewdest. While the 34-year-old doesn’t run very well anymore, he should still be an effective weapon in the red zone. It’s never easy to cover a tight end who stands 6-foot-6, weighs 270 pounds and has 12 seasons worth of savvy. But what Lewis does best is block, and that’s how he’ll make his greatest impact. Simply put, he should do for the running game this season what Martellus Bennett was expected to do a year ago. KEVIN RADER – The undrafted free agent from Youngstown State was born about 40 years too late. He would’ve had a long career in the 1970s. He’s tough as nails, physical at the line of scrimmage and sure-handed over the middle. Unfortunately, he’s also really sloooooooow. There might be a place for Rader in today’s NFL if he were a devastating blocker, but he’s not. That’s why he’s probably nothing more than a camp body. ROBERT TONYAN – The former Indiana State star isn’t ready to play in the NFL right now, but he’s a fairly intriguing prospect for the future. He began his college career as a quarterback, so he’s still learning how to play tight end. He didn’t block much of anyone last preseason while a member of the Detroit Lions, but he has excellent height (6’5), good speed (sub-4.6) and surprisingly strong hands. 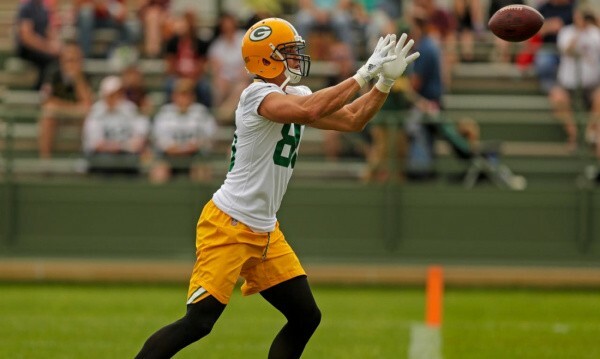 Tonyan spent the final few weeks of 2017 on the Packers’ practice squad, and with a solid summer, that’s where he could spend 2018. Overall analysis – This is one of the few positions that Gutekunst clearly upgraded in the offseason. Assuming Graham and Lewis still have some tread left on the tires, this looks to be the best group of tight ends to play for the Packers since the days of Mark Chmura and Keith Jackson in the 1990s. Rodgers has never relied on his tight ends as much as other great QBs like Brees and Tom Brady, but this season might be different – especially if a third wide receiver doesn’t emerge from an extremely suspect group of contenders.